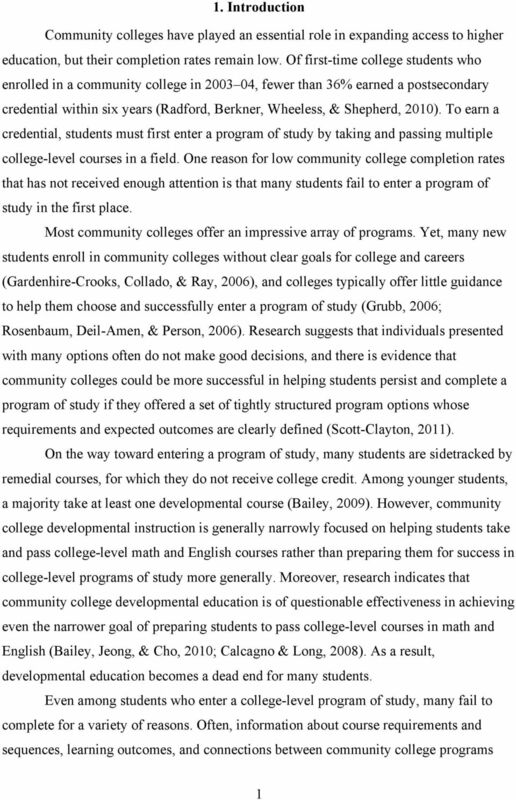 Download "Get With the Program: Accelerating Community College Students Entry into and Completion of Programs of Study"
1 Get With the Program: Accelerating Community College Students Entry into and Completion of Programs of Study Davis Jenkins and Sung-Woo Cho January 2012 (Originally released April 2011) CCRC Working Paper No. 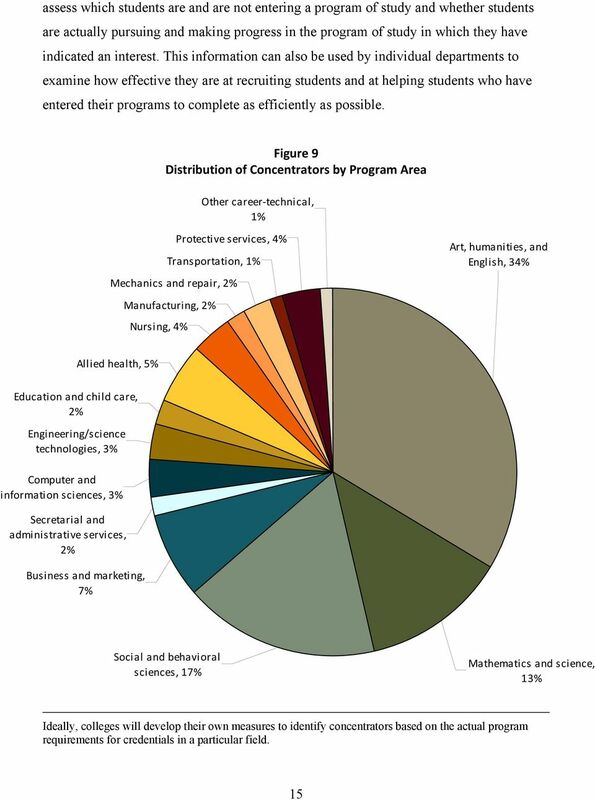 32 Address correspondence to: Sung-Woo Cho Research Associate, Community College Research Center Teachers College, Columbia University 525 West 120th Street, Box 174 New York, NY This research was funded by the Bill & Melinda Gates Foundation. 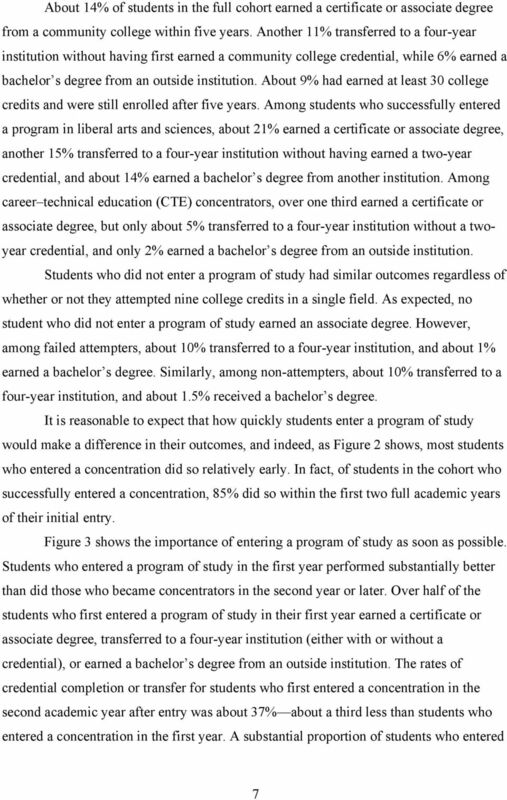 Thanks to Beth Kopko for stellar research assistance and to Amy Mazzariello for skillful editing. 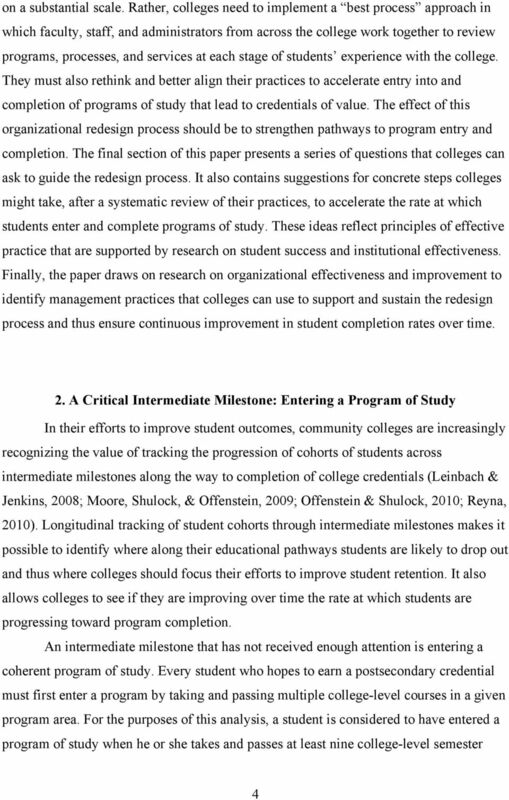 Thanks also to Thomas Bailey, Joanne Bashford, Sue Clery, Shanna Smith Jaggars, Bruce McComb, Dan McConochie, Colleen Moore, Dolores Perin, Brad Phillips, Judith Scott-Clayton, Nancy Shulock, Michelle Van Noy, Madeline Joy Weiss, and Josh Wyner for helpful comments on earlier drafts. 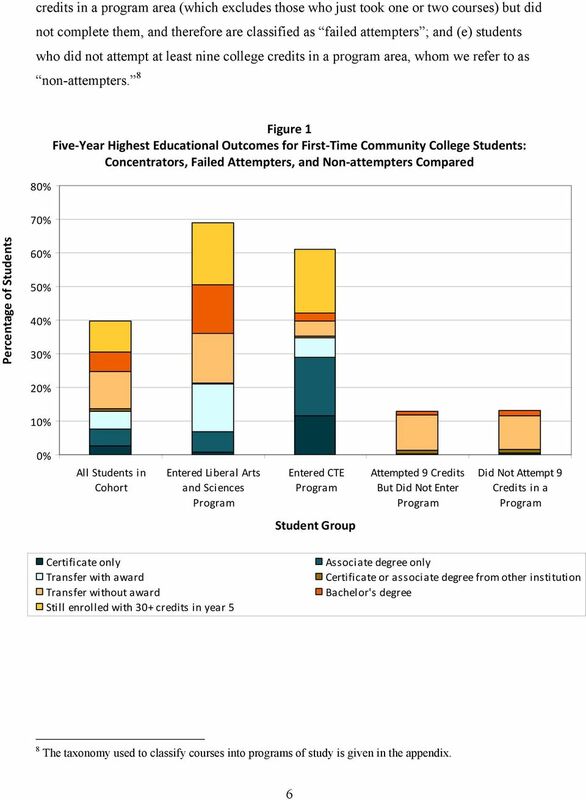 2 Abstract Most students who enter higher education through a community college fail to earn a postsecondary credential. 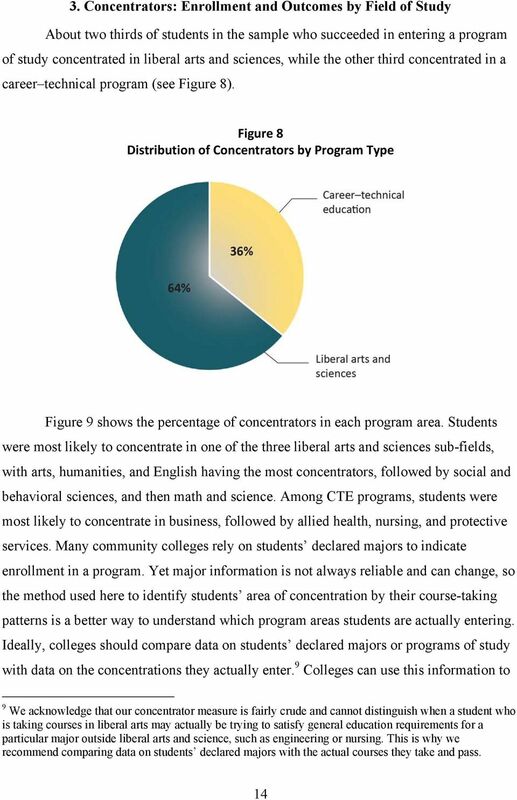 One reason for this is that many students do not enter a college-level program of study. 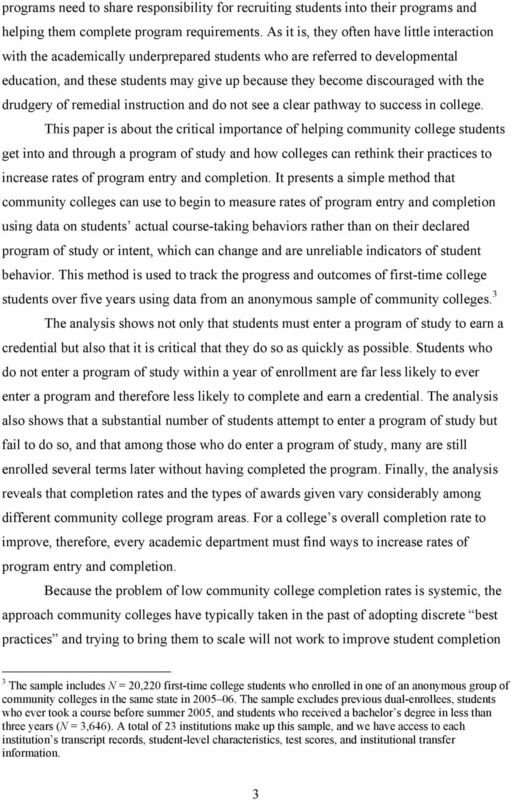 This paper presents a practical method for measuring rates of program entry and completion using data on students actual course-taking behaviors rather than declared major or intent. 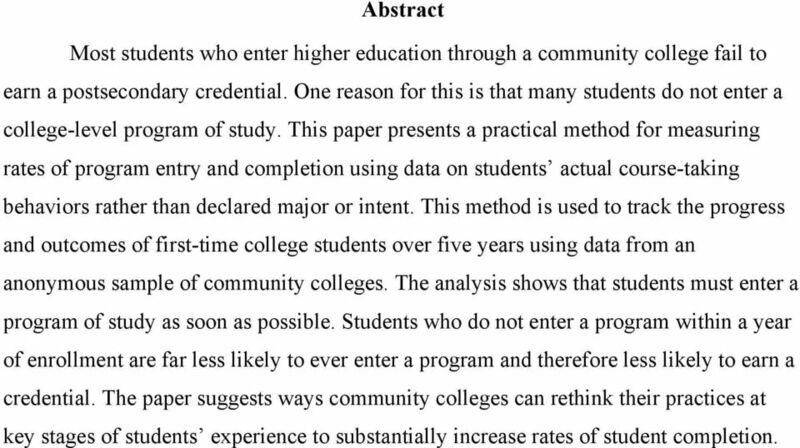 This method is used to track the progress and outcomes of first-time college students over five years using data from an anonymous sample of community colleges. 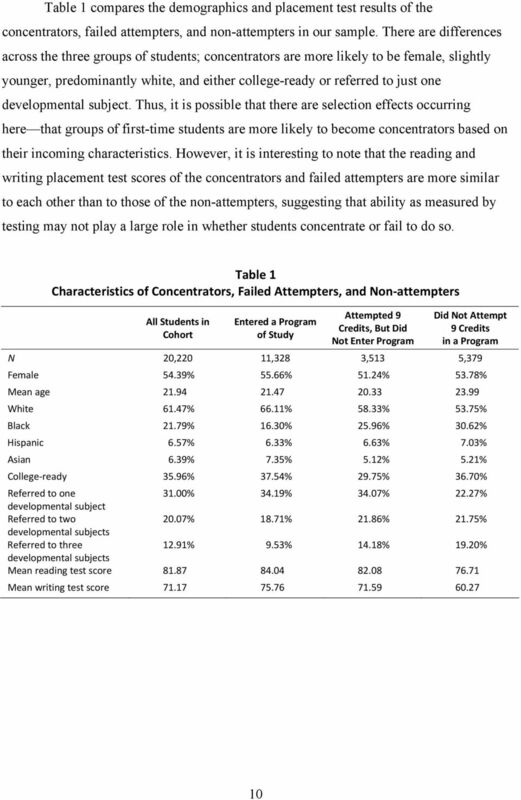 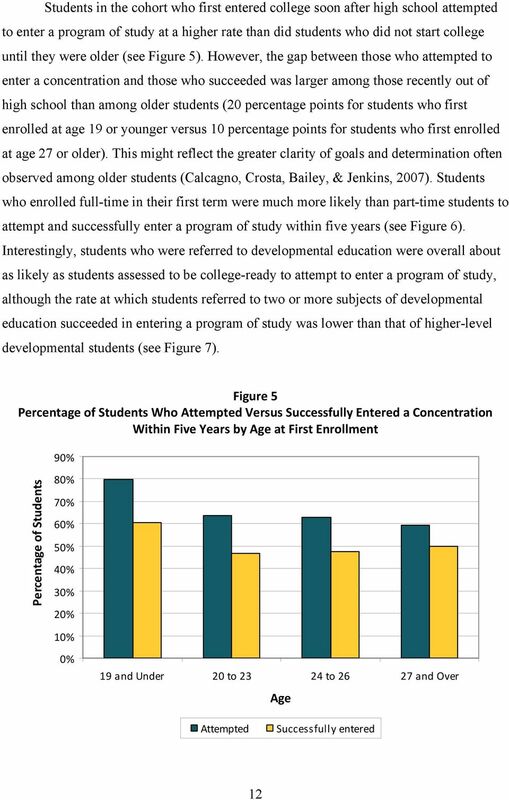 The analysis shows that students must enter a program of study as soon as possible. 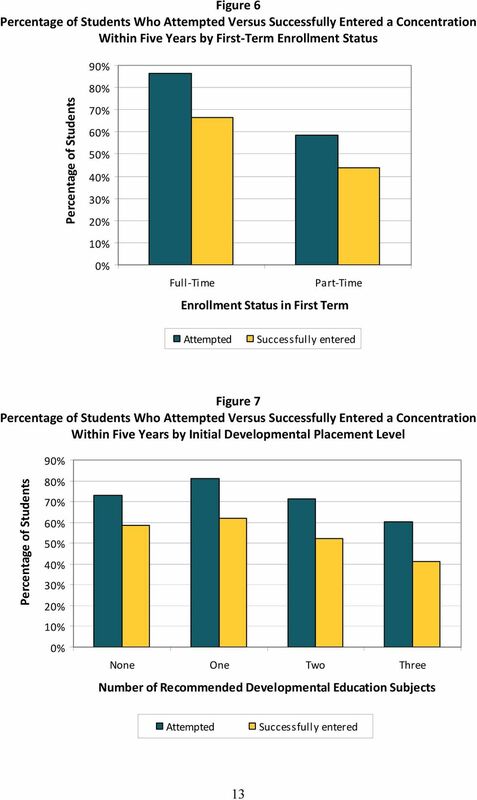 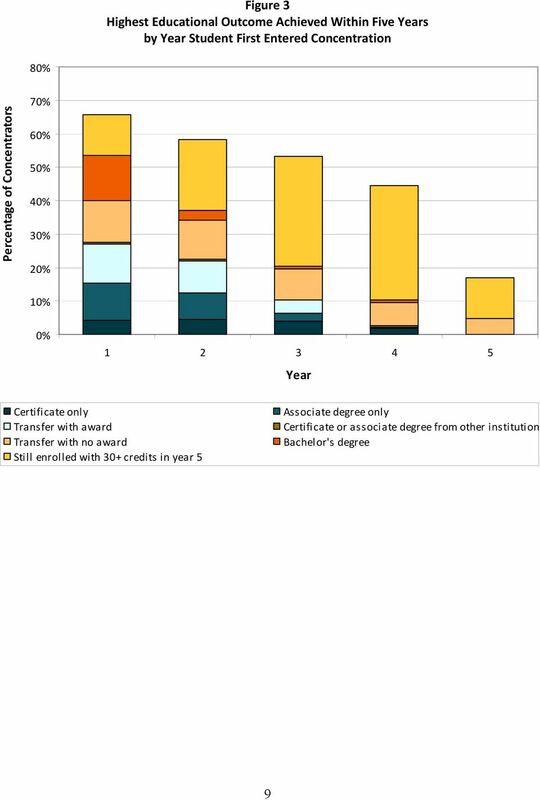 Students who do not enter a program within a year of enrollment are far less likely to ever enter a program and therefore less likely to earn a credential. 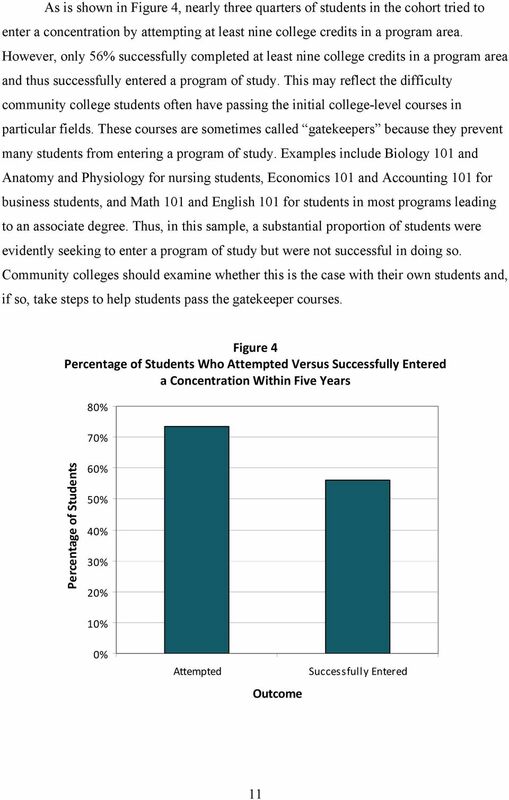 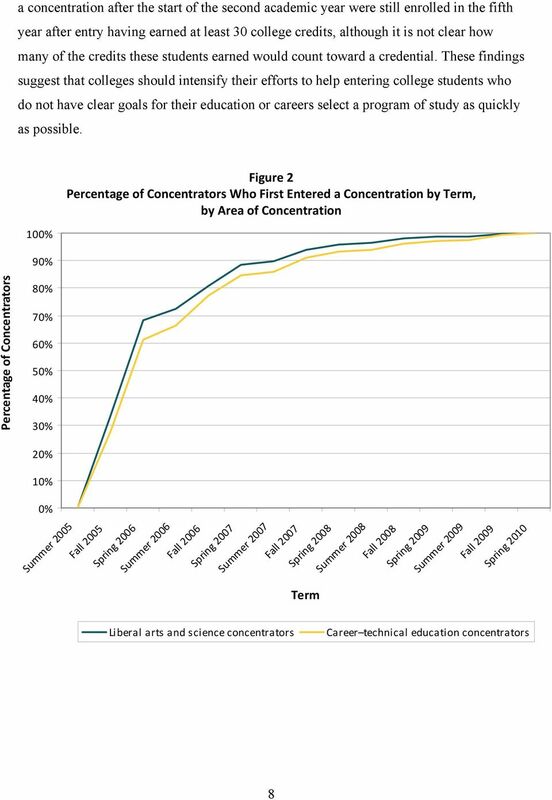 The paper suggests ways community colleges can rethink their practices at key stages of students experience to substantially increase rates of student completion. 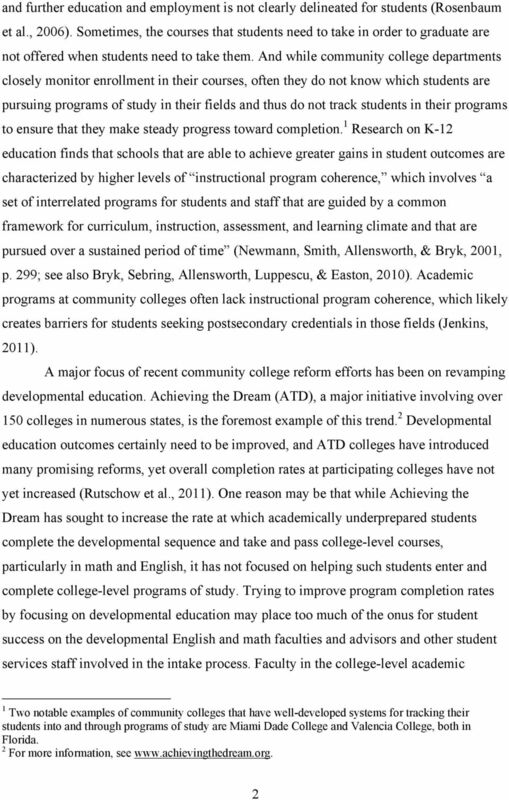 CORNERSTONES OF COMPLETION STATE POLICY SUPPORT FOR ACCELERATED, STRUCTURED PATHWAYS TO COLLEGE CREDENTIALS AND TRANSFER. 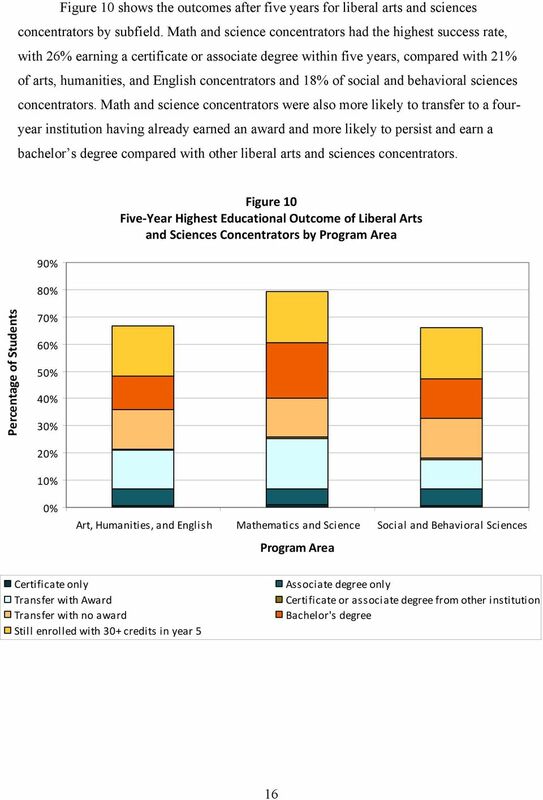 By Lara K.